Can A Violin Player Play Piano? How Hard Is It to Learn the Violin? 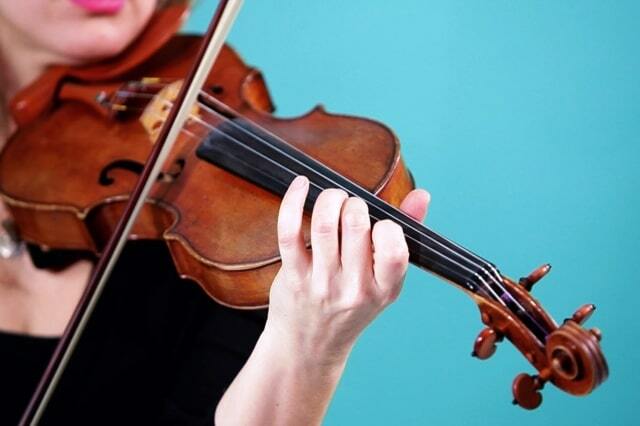 What Is The Difference Between A Violin And A Viola? What Is An Intermediate Violin Player? Playing the violin is an artistic endeavor that goes way beyond choosing the right violin strings or knowing what the different types of violin bows are out there. Since these are musical instruments that have been part of our lives for quite some time now, and by that we mean centuries, it’s pretty obvious that there are numerous people who have managed to master them. Of course, when it comes to putting together a list of the greatest violin players of all time, personal preferences do play a role and not everyone agrees on which ones of these great musicians should make the cut. However, there are some names that simply cannot be forgotten, so let’s take a look and see what these are. This great musician was a child prodigy, having been accepted at the Paris Conservatory at the age of seven. He went on to win his most prestigious prize when he was twelve and he was one of the first violinists who achieved international fame through the gramophone. 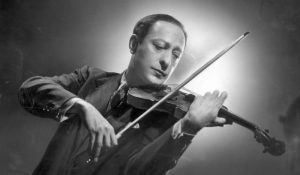 Considered by many the most talented violinist since the beginning of the recording age, Jascha Heifetz gave his earliest public performance at the age of five. He later relocated to the United States where he made an impact with his technique and masterful arrangements of the violin. He went on to teach in his later years. Another example of an enormously gifted musician, George Enescu’s celebrity was limited by his modesty. Known for the fact that he disliked showmanship, he was more than just a violinist, being Romania’s leading composer and a teacher. Among his pupils, we can name Yehudi Menuhin, Ivry Gitlis, Ida Haendel, or Arthur Grumiaux. His musical journey began at the age of four when he started studying violin, showing outstanding musical skills. At the age of eight, he made his first public appearance, and later on studied at the Paris Conservatoire. After his studies in Germany and Amsterdam, Frank Peter Zimmerman embarked on his solo career in 1983, and he was soon performing around the world. The musician has also made his mark on contemporary music, in premiered works by Matthias Pintscher, Augusta Read Thomas, and Brett Dean. The German violinist is known for his outstanding technique and pure, warm, and strong sound. Chamber music is the one that brought him the most satisfaction, as he told BBC Magazine in an interview. 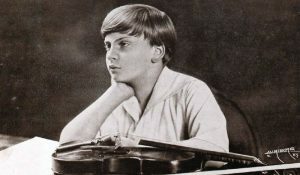 Another musician that is considered truly iconic, Yehudi Menuhin was known for his frequently groundbreaking approach that ranged from recording Elgar’s Violin Concerto under the baton of the composer himself to playing jazz with other famous figures such as Stéphane Grappelli, or collaborating with Ravi Shankar. During his long career, Szigeti left a substantial number of outstanding recordings and spent his time teaching extensively. He also published his influential treatise, Szigeti on the Violin, in 1969. His last years, from 1960, were spent in Switzerland, and his story also included escaping wartime Europe for America in 1939. Born in Paris, Ginette Neveu was the great-niece of the organist and composer Charles-Marie Widor. She had the opportunity to train with the finest of professors, including George Enescu and Carl Flesch. Her tragic death at the age of 30 meant that the world was deprived by a violinist who had made a tremendous impact with her emotional intensity. Respected for his probing musical insights as well as for his virtuosity, Isaac Stern made music come alive with an electrifying pulse. He was also a devoted chamber musician, known as part of a legendary piano trio alongside Leonard Rose and Eugene Istomin, and of one of the all-time great piano quartets with Jaime Laredo, Emmanuel Ax, and Yo-Yo Ma. Arthur Grumiaux was more than a violinist, being known as a skilled pianist as well. You can say that he needed a bit more than just a good violin case to carry all of the instruments he could master. The opposite of a temperamental maestro, Grumiaux enjoyed playing chamber music, most notably with the great Romanian pianist Clara Haskil. After catching the eye (and ear) of both cellist Pablo Casals and Isaac Stern as a violin prodigy in Israel, Zukerman went on to New York’s Juilliard School to study with Ivan Galamian. His personal sound is easy to recognize, being intense, passionate and strong-centered. This means he also played a generous repertoire. 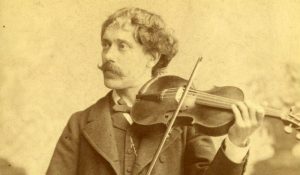 A student of Joseph Joachim, Busch became known not only as a solo violinist and composer but also as a founder of the Busch Chamber Players. He also founded the Marlboro Festival in Vermont and was the ignition behind three distinguished chamber ensembles: the Busch Quartet, a duo with pianist Rudolf Serkin, and the Busch Trio. Another child prodigy, the musician was still a teenager when he made his Berlin Philharmonic debut playing the Beethoven Concerto with Karl Böhm. He had such a tremendous impact over the following decade that he was signed up by Herbert von Karajan with a unique deal to record the major violin repertoire with over 20 discs. With a career that began through winning two major music contests, namely the Sibelius competition held in Helsinki in 1980 and the Tchaikovsky gold medal in 1982, Viktoria Mullova is renowned for her recordings of Bach, which have received exceptional reviews. She has also experimented with other, more contemporary styles. Considered by many as one of the most charismatic and underestimated violinists of his times, Ivry Gitlis is an expert in jazz, pop and gypsy styles, as well as in Classical, Romantic and contemporary repertoire. He trained mainly in Paris, where he studied with George Enescu, Jacques Thibaud, and Carl Flesch. Praised by Joachim and Brahms, Huberman was a child prodigy and he shot to fame by participating in Adelina Patti’s farewell concert in Vienna. His interpretations were known for their striking individuality, integrity, and artistry, even if his technique and style were sometimes subjects of criticism by some fellow violinists.